Crossbreeding is a common thing now in the marijuana industry and one of its recognizable crossbreeds is the Blue Dream – Hybrid Shatter. Crossing the Blueberry indica with the sativa haze, the indica dominant creates a full-body relaxation as well as cerebral invigoration. Known to be as a daytime medicine, it helps you calm your nerves and gives your body that long awaiting massage – a gift from Mother Nature herself. The Blue Dream is also known for its gentle sedative effects, perfect whenever you feel pain in your body during daytime or at any time of the day. Longtime marijuana users have used the Blue Dream more often nowadays, it helps them keep them on the go with that energetic happiness. Ntion as one of tho doubt that the Blue Dream – Hybrid Shatter has built its own reputae most popular strains in the marijuana industry. Once tasted, it takes your mind and body into a relaxing lullaby and rock yourself to calmness, happiness, and stress-free feeling. This indica sativa hybrid you that happy feeling partnered with a touch of relaxation plus next to that euphoric glance. Perfect to be used in daytime, the sativa dominant hybrid strain will keep you going throughout the day and eliminates stress and body pain at the same time. Because of its uplifting effect, users use this sativa hybrid to treat anxiety, depression, insomnia, and sleep disorders. The balancing effects of this sativa indica hybrid are very fast when the body starts to consume it, perfect for immediate painkillers and anti-depression. I really like this, the taste is delicious, One of my favorite strains. This shatter makes me feel great, I feel calm, relaxed, chill. I feel less likely to get mad haha. I suffer from Extreme Anxiety, Minor Depression, Arthritis and I have a Disability I was born with called Klinefelter Syndrome, this disability in Adulthood mainly affects my moods and seems to enhance the pain of my Arthritis. 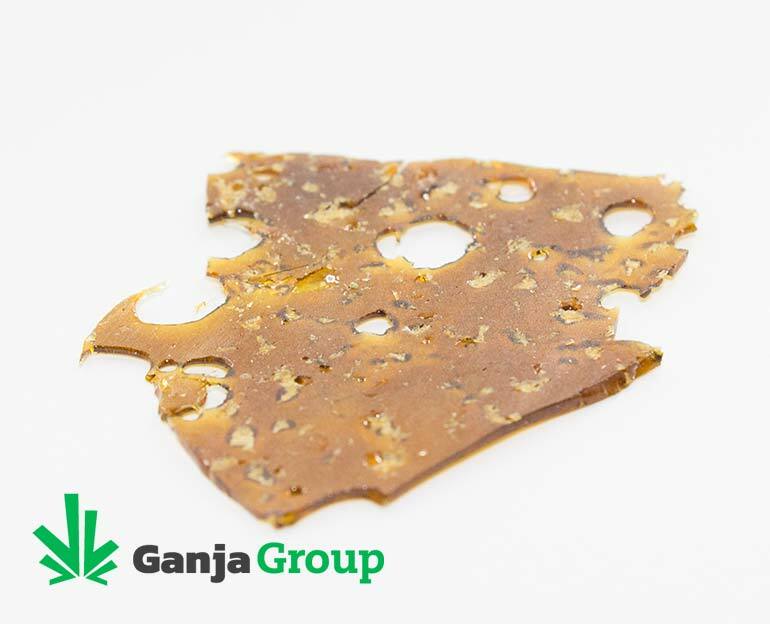 Great shatter wonderful taste and keeps you good and buzzy. Love this stuff tasted great worked perfectly for my needs. Been having issues with my muscle spasms in my back and with my insomnia. This helped with both. Light dose helped keep my spasms to a minimum. And with a bit heavier does helped me fall asleep. nice stuff, especially for the price. I like the blue dream, helps with sleep too. Amazing shatter for the price. Great smell and taste. Its potent and the effects are exactly as described. I will definitely buy again. Thank you! All of your shatters I have tried are awesome and at an awesome price! The Blue Dream is really Nice, nice flavour good head rush. Love it. Very good smooth shatter for the price! Can’t go wrong! True to its namesake, this stuff smokes like a dream! Smooth, with a powerful punch, and a great taste. I’ve paid twice as much for something half as good in the past. I won’t make that mistake again. Thank you GG! 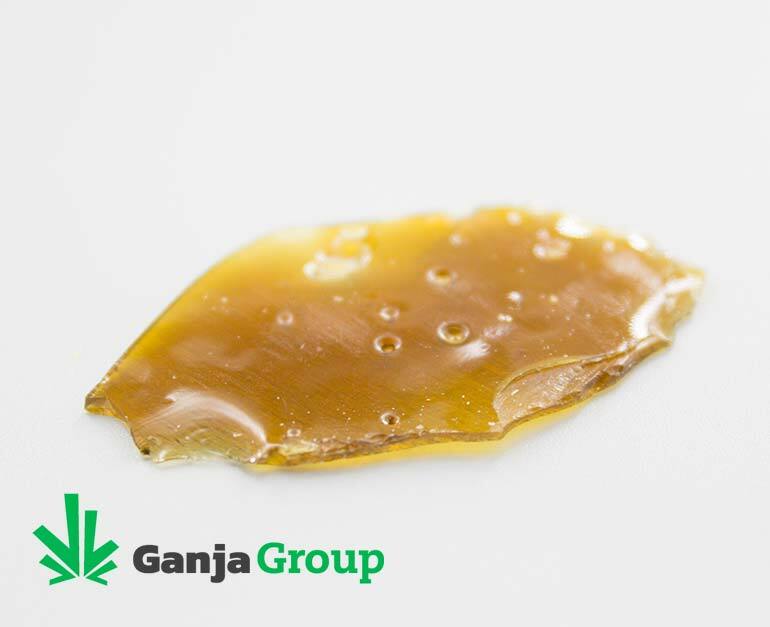 This Blue Dream shatter is potent enough to give you a strong buzz and headrush directly after hit. It leaves you in a mellow mood with some tones of laughter. Definitely the strongest high I’ve had in a while! Be sure not to smoke too much of it if you don’t smoke often though, as it left my head in a “brick-like” state for a decent time (>1h) after smoking. The only reason for the four-star rating is that the expected high (giggly, highly sativa, as Blue Dream previously did to me as dried cannabis) did not match the actual one I had (mostly body, somewhat indica). However, this is more of a personal experience, so you might not feel the same. Expect a lot of fun: this shatter helps a lot for depression and stress. I have an anxiety disorder and it helped me relax and laugh freely. It’s good heckin shatter, and its value is incredible. Definitely worth the buy, thanks! 5 star forsure, awesome taste along with a really powerful buzz, real nice and stable shatter too. Very nice shatter just received my 1st order, bought an oz of blue dream and luv to taste and great high and relieves the pain and helps me to sleep!!! Thanks BIG LARRY and thanks for the samples! This strain was lovely, I felt super good all day and I was relaxed, I love the taste and smell, can’t go wrong with the price either ! Wow, this Blue Dream Shatter is the bomb, I love the taste, just need a few hits & Your good from pain for hours, You do get really buzzed. This gives me giggles too. I Love that. Can’t wait to buy some more in a couple weeks, hopefully there’s some left. Really good pricing, however I’m new to shatter! Did the trick for sure! Amazing deal. This is very tasty, great product I highly recommend! Very nice quality, dark amber red in color. Compared to the other bulk shatter options, this one had to be the tastiest and most potent selection. This is an amazing strain to smoke or vape in all forms . BLUE DREAM . 10/10 it’s an award winning sativa dominant strain and the shatter it produces is heavy . Hits hard and makes your mouth water . Excellent High…Tastes Sweet and very smooth smoke… I will order whenever available! 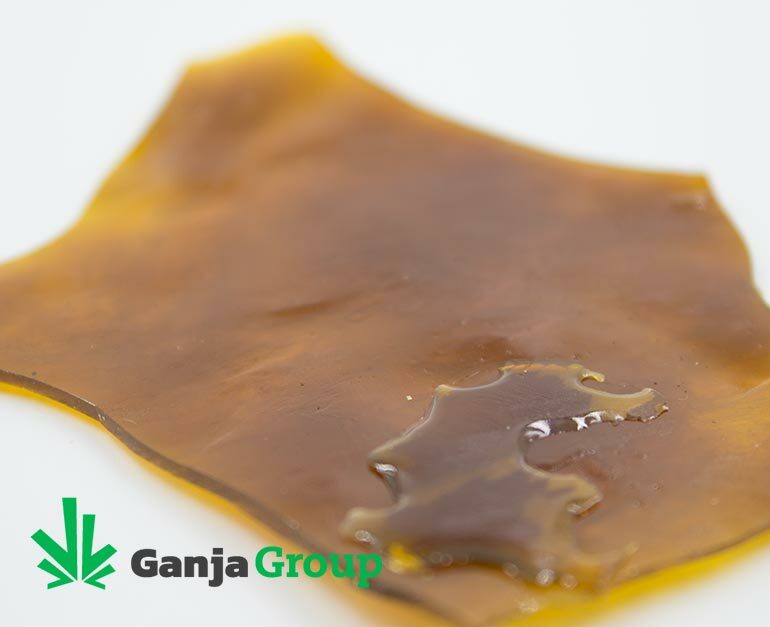 Credit where credit is due – this is solid shatter, even at twice the price. I got a nice 1/8 and Big Larry threw in an extra 1/2g just to be nice. Dark amber, sweet, with a berry taste on the tongue, a good rip of this will put you in a deep state of relaxation. I had friends ask if this was phyto ($40+) and I would definitely pick up some more on my next order. Love this shatter! This is my second order of it! Best tasting shatter I ever had for the price! I like the blue better this way than the bud! The flavor of the piney terps os amazing. It helps my mood so much and keeps me calm with energy! Love this. I will always buy this! Perfect representation of Bue Dream! Around here we called IT the Bean Weed. We can get into sitiations where we sample 15-20++ Different Varities in a Enjoyable Billiards Tournaments, Many! So many, sometimes you get lost in the buzz and everything feels the same. The Bean always put you right back where you want to be! Full plant extract Blue Dream, A must Have!!!! Really great experience. i don’t know shatter very well yet, but this is really nice. super tasty and a nice chill buzz. Very relaxing, smooth. One of my favorites! This is great stuff for $15 /g. The buzz is nice and strong, gets you super high. the color and taste is unreal for the price as well. The only thing stopping me from giving it 5 stars is the batch I got bubbled up when I put it in a glass jar. wife nice and buzzed, which is fairly hard to do so that’s saying something. Would buy again for sure. Couldn’t believe this shatter was only $15 , extremely impressed! Great shatter and the price is a huge bonus. This shatter is dark almost like a dark ale colour. . Has a good flavour and really packs a punch. For $15 it is a great deal. Great for daytime smoke, really potent like wax should be. Avoid large doses if you have anxiety like me though, as the high can be quite strong! For the price I was impressed !!! It’s a little darker then I’d like it to be but all and all its a really good high has a great shatter taste will be ordering again !!! My first time buying a half oz of shatter and I was so impressed. Will be repurchasing for sure. Thank you! Order showed up on time, and order was absolutely delicious. Very good stone. Best of both worlds. Texted my girlfriend saying I was about as high as I’d ever been without the anxiety. Currently loving it. Shipping took almost 2 weeks but the freebie made up for that. Great stuff will buy more soon. Bought an ounce of this. It did not disappoint! Good for the price, took a little longer than I expected. Definitely does not look like the picture, much darker than pictured. Smokes good on low temps and gives a nice high. Overall if you’re stumped for money for your medication this will do the trick. I really like this product.As good as any shatter from phyto. It is exactly what it says it is – blue dream shatter. i got a z. way more bomb than the price would indicate. would and will buy again. Very dark in composition. Smooth dark smoke. Wished is burned a bit cleaner. Good value. Now i have tried all 3 flavours of 20 dollar shatter. Very sticky and somewhat hard to work with if you don’t use a rig, however taste and smell were unbelievable for the price. Best taste of all of the 20$ shatter. Great taste and relieves pain right away! Overall: 12 / 3 = 4/5. This stuff smokes like AAAA+, turpy, top notch dabs. Snaps, shatters, but also goops up in your fingers nice. Dark brown when thin, no yellow tones or clarity. All in all, this is amazing stuff that looks a bit sketchy because it’s unpurged. Expect a black puck that dissapoints you at first and makes you really really happy when you smoke it. Best bang for buck. Great taste and great high little darker than top quality stuff but that’s about the difference. For the price, you get what you expect but a bit more. Great to vape or add to your bong tokes. Very much liked this strain. Bit stickier than the purple kush but had very nice taste. Amber to dark color which is fine. Pricing is fair also as delivery time.! Gives a nice relaxing high, not overly potent but tastes amazing. very high quality shatter as consistency stayed the same and didn’t turn buddery. Good price, not the best taste but has a nice relaxing effect. If being frugal is your game this is the way to go. good for the price expect a black puck. with a good buzz and ok taste. Good taste, nice uplifted buzz. Good buy for the price. Very impressed with this shatter, tasty and smooth and a pungent high. Very awesome on its own or in a joint. Tasty stuff, great job! I liked this one to great smoke. I would order again. As this was the first time smoking shatter; I found it to be very satisfying, the taste was not to bad either. For me this high was focused on my core with of a uplifting feeling, a few dabs and I’m cleaning my house LOL! this shatter is great so great that I’m ordering it again and again and then again some more no kidding chek it out you will be happy happy happy !!! Good taste, intense buzz. Really good buy! Smooth smoke with very fruity tones. Definitely the most cerebral high of the $20 shatters. Great bang for your buck right here. Reccomended for sure! after trying all of the bottom levels of product I am most pleased with this one. Same consistency from batch and batch and same great high everytime! Great hybrid. Doesn’t burn me out. Excellent shatter at that price you can’t go wrong, I am very Impressed with taste! Thanks ganja group you guys are appreciated!!! Can’t complaint when you get good product eh. I always smoke this shatter because it makes me smile a lot !! Its the one I order again and again it never disappoints! !